아유타야 가이드님 한국어 유창하진 않지만 노력해서 알려주시는 모습 보기 좋았어요! 너무 알찬 투어였습니다! 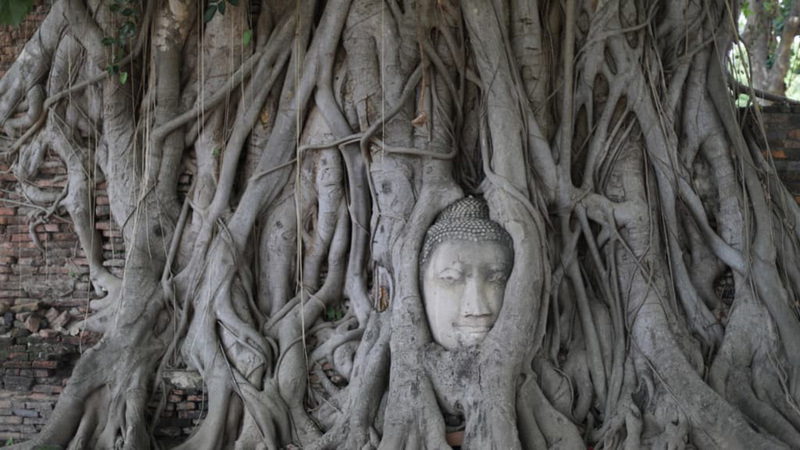 Plan your Ayutthaya day trip itinerary. Visit the historic city of Ayutthaya, a UNESCO World Heritage Site and ancient capital of Thailand. 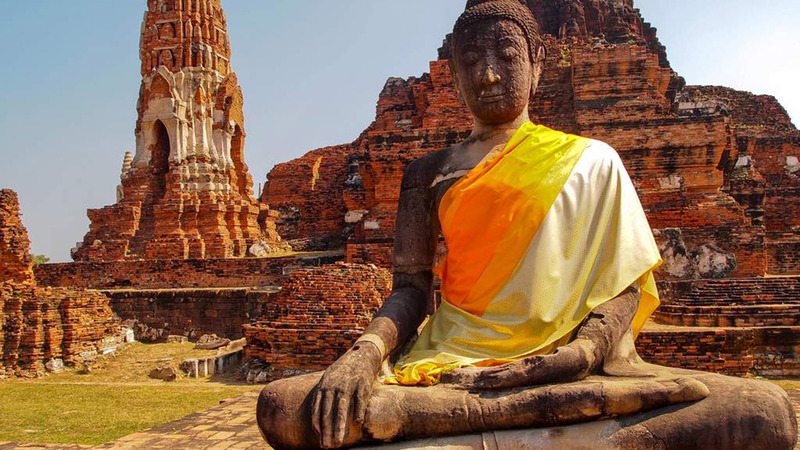 Learn about the rich, enchanting history of Buddhism with visits to three of the most important temples in Ayutthaya, Wat Mahathat, Wat Phra Si Sanphet, and Wat Lokayasutharam. 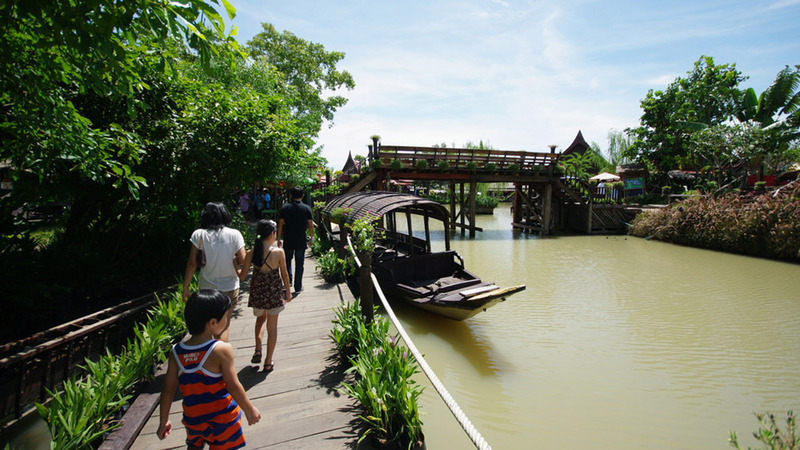 Discover the former glory and grandeur of Ayutthaya with a visit to Bang Pa-In Summer Palace. 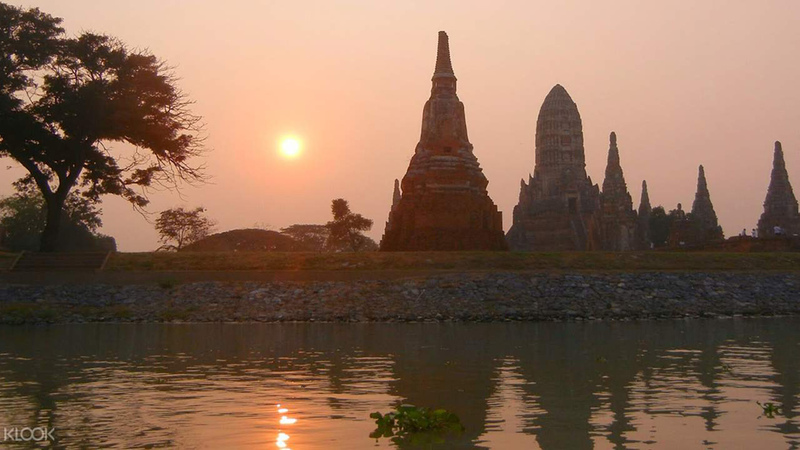 Take a ride around the mystical city of Ayutthaya on a motorboat and see the ancient ruins. Get your best Ayutthaya day tour price online for cheapest Ayutthaya tour and amazing offers. Children aged 0-2 and not occupying a seat can join the tour for free. This tour is available in English, Chinese, Korean and Japanese, please specify your preferred language at check out. Ladies are required to cover up to enter the temples, please wear long pants and a long-sleeved shirt or bring something to wrap around you. Please see the dress code for your reference. Please note: Sunset boat ride may be changed to sunset experience at Wat Chaiwatthanaram due to dangerous river conditions. The tour guide will inform you about any changes in the itinerary at the beginning of the trip. A minimum number of 6 participants is required to run this tour. Bookings may not be confirmed within 24 hours after ordering but will be confirmed at least 24 hours before the tour date. If the minimum number is not achieved, the operator will suggest another date or a full refund will be given. Time: 8:30 am (please arrive 10 minutes in advance for check in). Location: Booth sign outside the entrance of Century Mall, opposite King Power Bangkok Rangnam. View image of meeting point here for assistance. Address: Phayathai Rd, Khwaeng Thanon Phaya Thai, Khet Ratchathewi, Krung Thep Maha Nakhon 10400. Please see map. Take the BTS to Victory Monument station, leave the station using Exit 2 and walk straight ahead for approximately 100 meters. 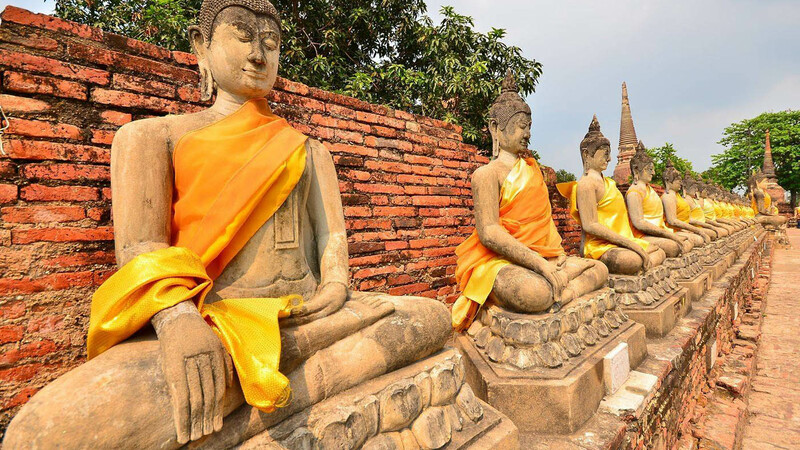 This best Ayutthaya tour Experience takes you through the historical wonders of Thailand's ancient capital. Ayutthaya is dotted with ruins and grand temples, surrounded by the Chao Phraya, Pa Sak, and Lop Buri Rivers, and filled with the aura of mystique and grandeur that truly reflects ancient Thailand. Stop by a 17th-century summer palace, a fusion of Italian, Thai and Chinese architecture. 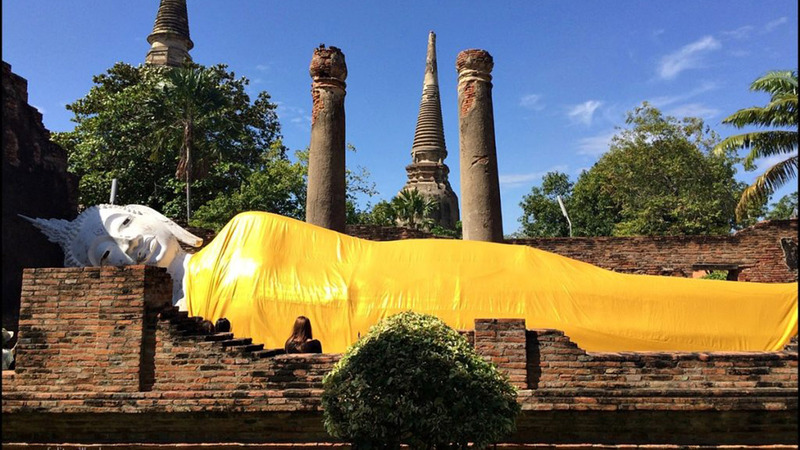 Visit Wat Lokayasutharam, a huge reclining Buddha covered in saffron robes. 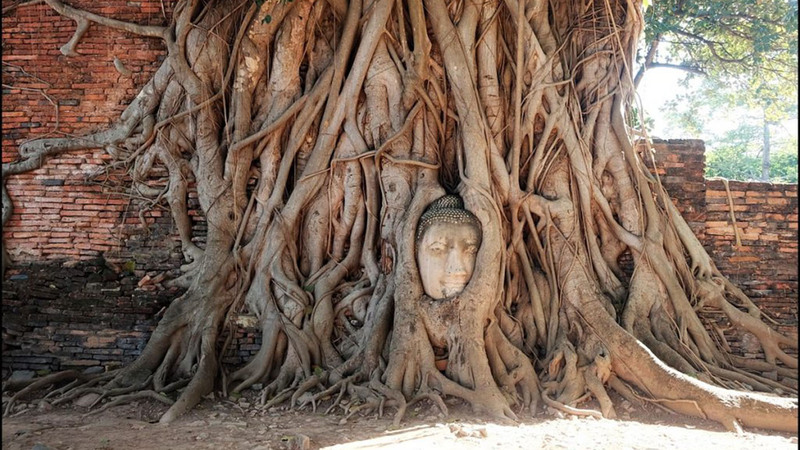 Then drop by Wat Mahathat to search for the famous Buddha head entwined in tree roots, before having lunch at Ayutthaya Floating Market. Head to Wat Phra Si Sanphet, where the ashes of three Ayutthaya kings are enshrined within its pagodas. 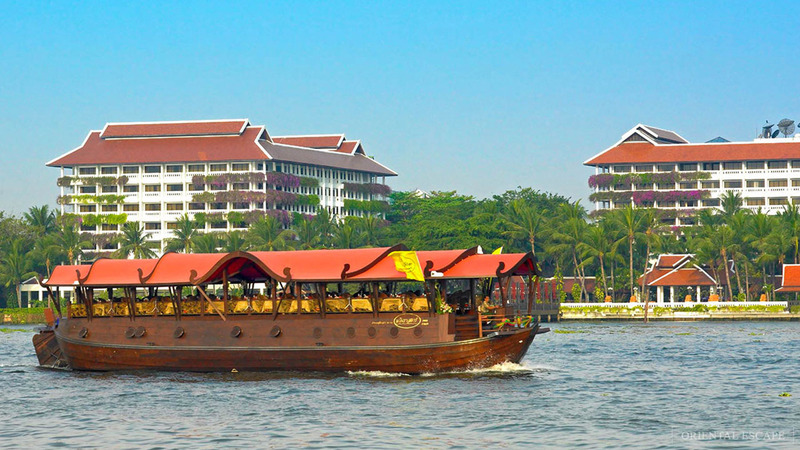 As the evening draws in, take a leisurely boat ride and soak up the views of the magnificent temple ruins, wrapping up your journey into olden Thailand. If you want to know more about the history of Thailand, try to visit Bangkok old city to learn more about it. Q :What should I do if I do not receive a booking confirmation email within 24 hours?